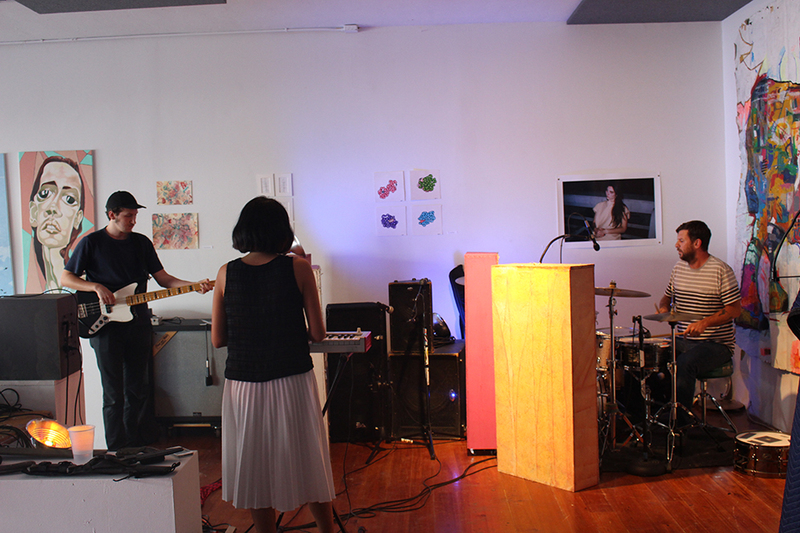 Lop-Off Sessions are a series of one-day, site-specific performances organized by Maitejosune Urrechaga & Tony Kapel of Pocket of Lollipops. 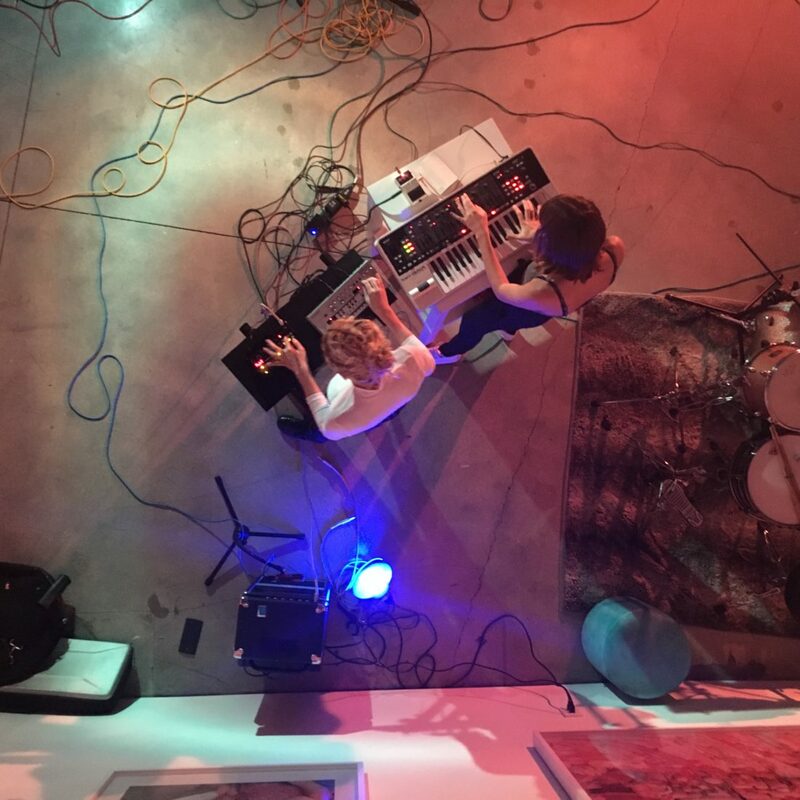 The rock duo will present their 5th edition, creating compilation #5 with an all female line-up and their first Lop-Off Session in Broward County. 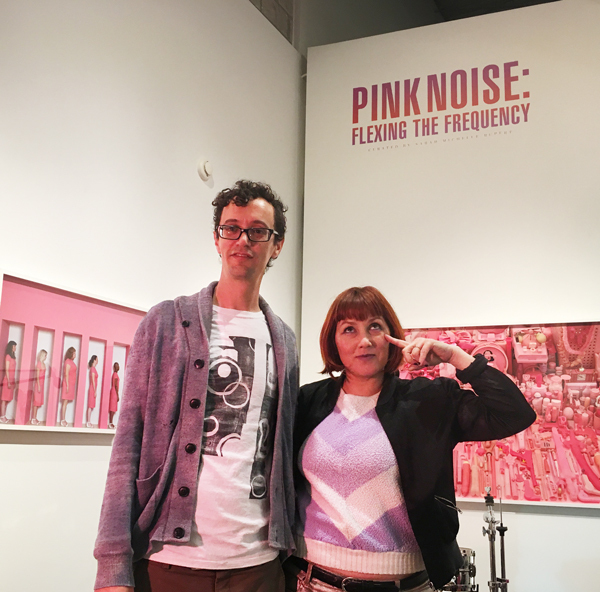 Invited musicians will record one song each on location at the Pink Noise: Flexing the Frequency exhibition in the galleries of Girls' Club. These songs will then be made available as a compilation album titled Layers of Simple Machines (Lop-Off #5). Each band will have up to 30 minutes to knock out the song. The public is invited to watch on as an audience, respectful of the sound recordings taking place. The objective of these Lop-Off Sessions is to show working musicians and the measures it takes capture a song. 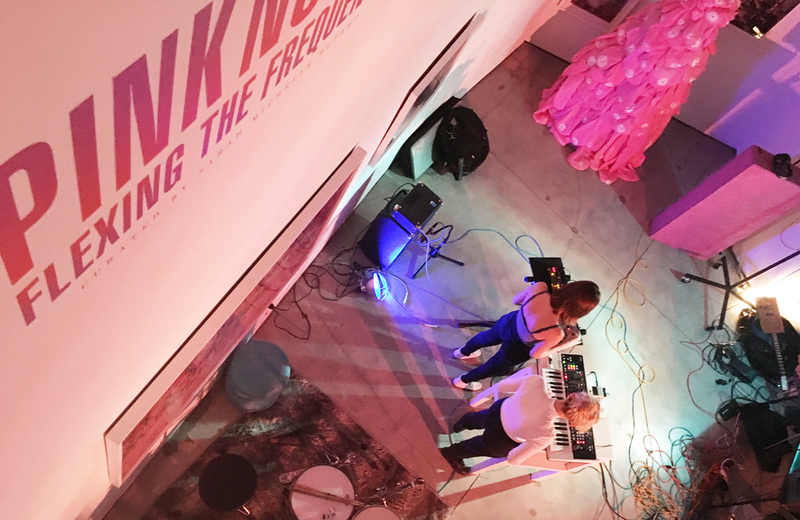 Amid the backdrop of the exhibition Pink Noise: Flexing the Frequency, the audience is given a behind the scenes glimpse of the recording process – the set up, the tuning, the rehearsing, the capturing of a single musical work – a performance usually restricted to a trusted few. 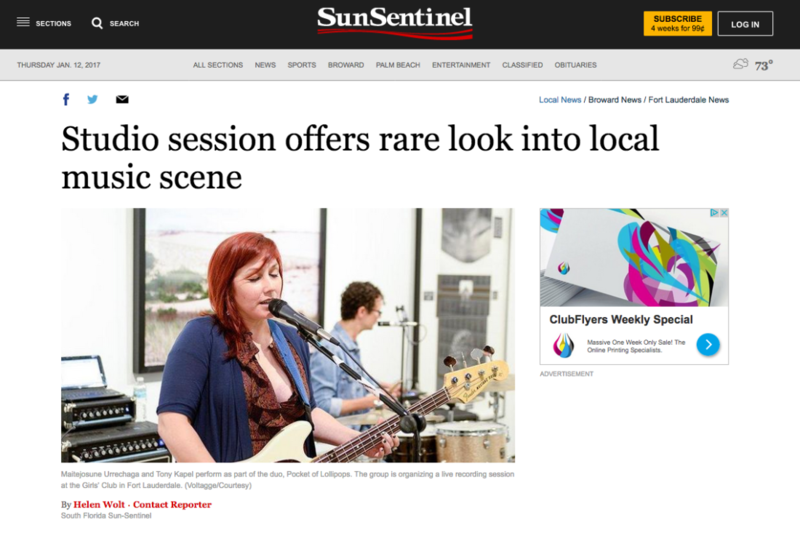 "The audience will be watching what it takes for musicians to set-up, and capture a song. And also witness the stress, the anxiety or complete calm. Basically witnessing each musician's approach to the task. So the acts are not really performing a show - just coming in and doing the track - some need the complete 30 minutes - some do 1st takes." 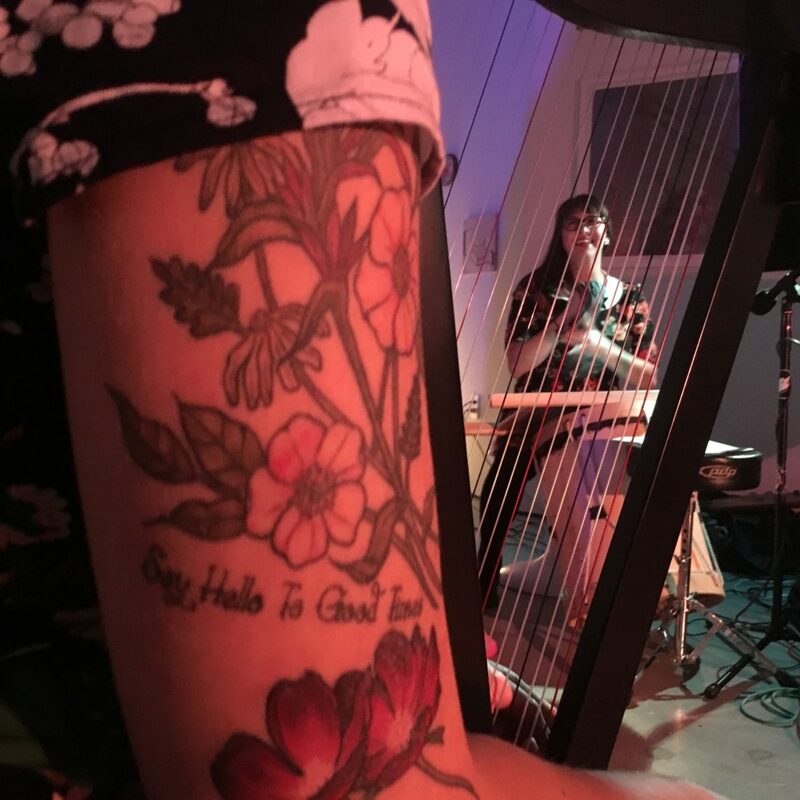 These sessions are then made available to audiences for sale on location and at partnering locations in a limited edition vinyl album set, as a CD and cassette tape and digitally through Houndstooth Cottage, a recording/publishing house, and host of semi-private music and art events. 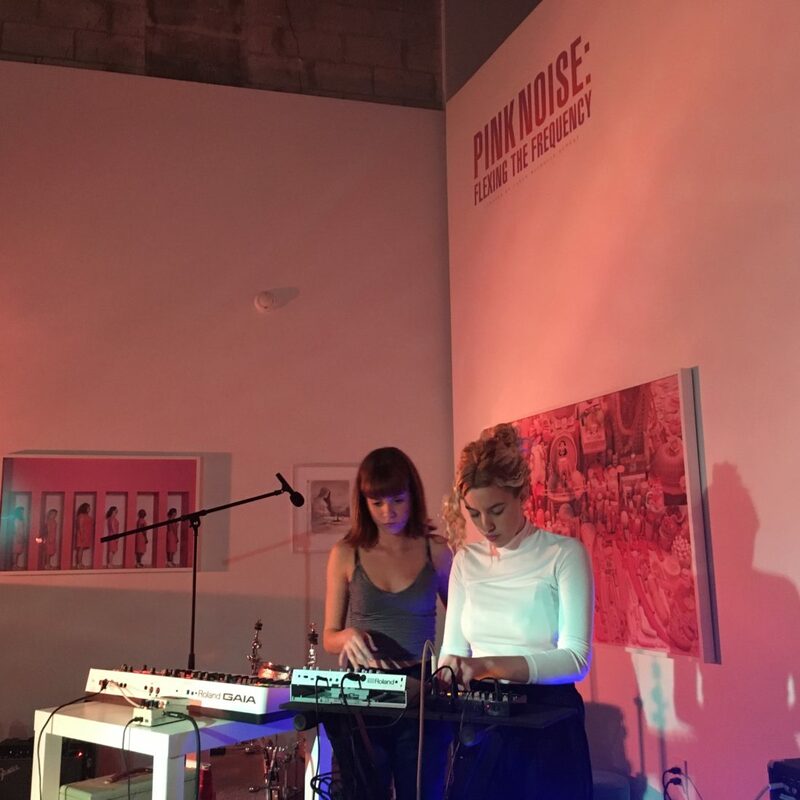 4:00 | Bison Twins, the elemental key card of Maite from Pocket of Lollipops, joined by Brittany & Lauren. 5:55 | Bows & Ties, blending together sweet Texas charm with the honest sounds of New York, this diverse duo brings a vintage vibe to their music. 7:55 | Soety and Honey Henny Lime, playing Psychedelic Funk jazz with her band Honey Henny Lime, Soety will bring an engaging solo project to the forefront. Come early and catch them all. Sometimes the unexpected happens and an unforeseen song blooms. Check out photos and recordings of previous lop-off at the boutique label www.houndstoothcottage.com, created by Pocket of Lollipops. 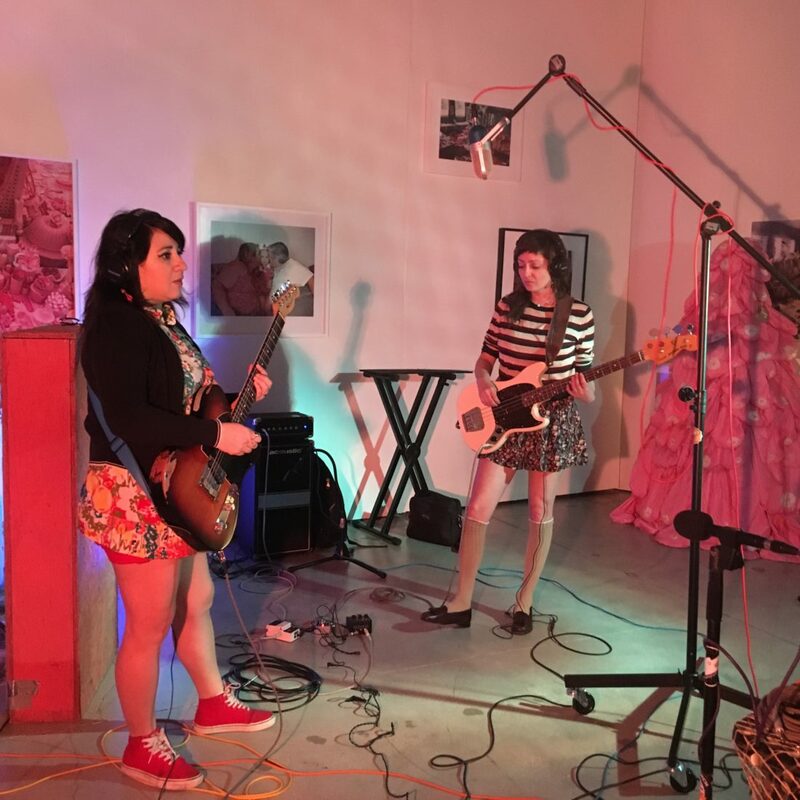 Music fans are invited to take a behind the scenes look of a live recording session at the Girls' Club. 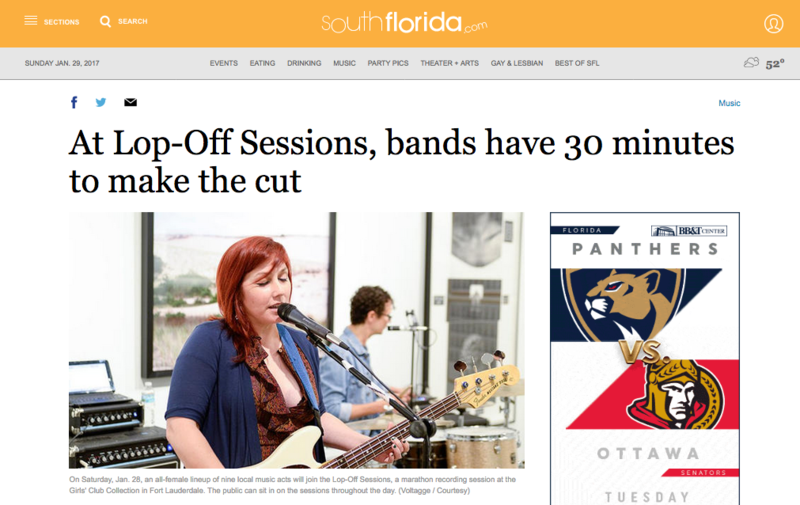 The Fort Lauderdale gallery is putting on the Lop Off Sessions, a unique concept that fuses art with music. 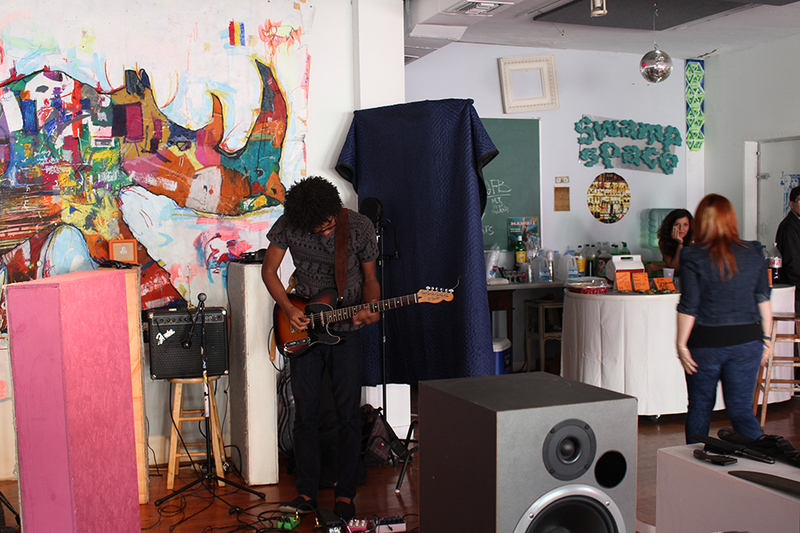 "It's meant to be an art exhibit - a performance piece in a sense," said organizers Maitejosune Urrechaga and Tony Kapel. "Audience interaction is being quiet when the vocals are being done and being part of the whole mess-ups and so-ons." 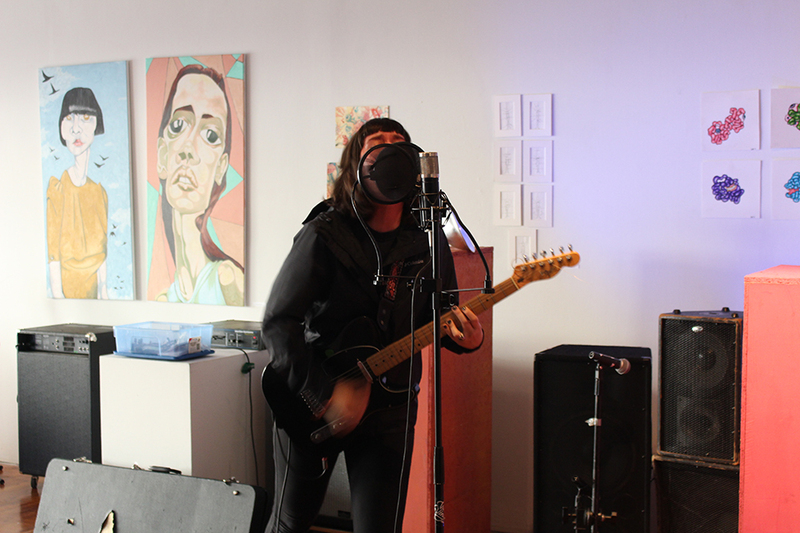 When musicians Maitejosune Urrechaga and Tony Kapel record new music at their home studio in Coconut Grove, local bands often drop by and join in. The husband-and-wife duo, who sing for the experimental punk act Pocket of Lollipops, hardly mind the interruptions. For the past five years, they’ve uploaded videos from these sessions to YouTube. 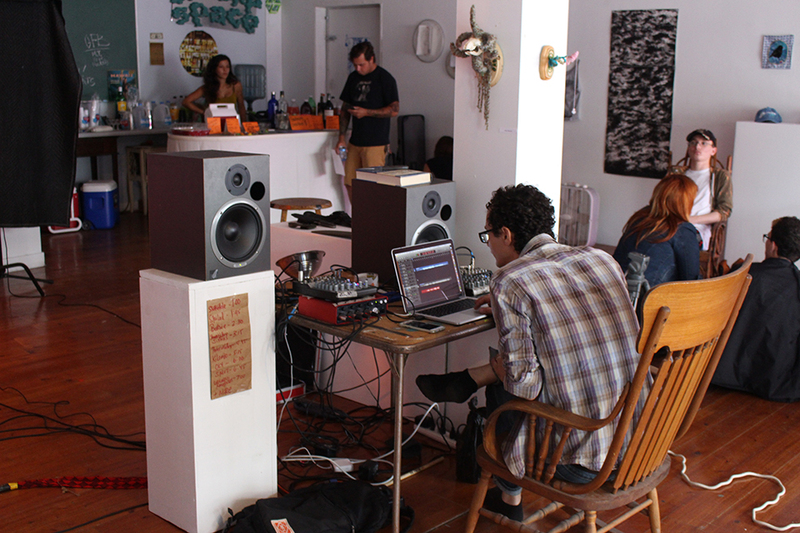 Jolt Radio and Anna Martell interview Maitejosune Urrechaga & Tony Kapel during the 2015 Lop-Off Session at Swampspace in Miami's Design District. Tony and Maite of “Pocket of Lollipops” and the minds behind Lop-Off answered some questions about Lop-Off as a whole, thank you to them and Oliver of Swampspace for allowing the day’s events to happen. What made you guys choose to start lop off? We had been recording bands from the cottage for a few, when we thought of lining up 9-11 bands and record within a certain time frame. 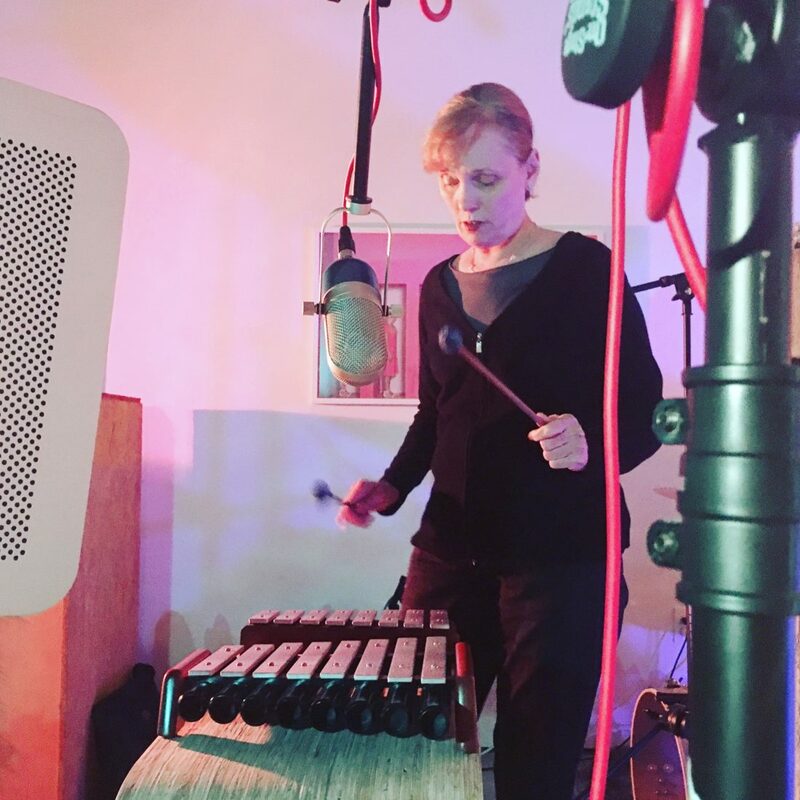 I also think its important to show what musicians deal with as they record a track, it’s something most will not experience if they are not directly involved with someone who spends time in the studio. It’s meant to be an art exhibit. A performance piece in a sense. And the audience interaction is being quiet when the vocals are being done and being part of the whole mess-ups and so-ons. How do you choose the people to participate? Its tough to say how we decide but each lop-off has been curated different. The first one was Maite and I – I (tony) wanted to include a few of the 90s kids that I grew up with like Ed matus, Ed Artigas, and having them on a compilation with then at the time new bands such as Landica, and Juju Pie. What do you get from it(joy, love, cheers from adoring fans)? the documentation is why we do it. It’s to say it happened. Does it feel like you are building up a community by doing this? We aren’t building anything that isn’t already there. We are providing an intimate platform for musicians to perform by holding these sessions. Some musicians perform stuff that isn’t their usual gig. It’s supposed to show the working musician. It’s an audio marathon, more of a sprint. But it’s definitely an audio sketch of a musician(s).